If you (or your kid) ever wondered why we need to learn about the periodic table, this is for you! Courtesy Keith Enevoldsen elements.wlonk.com © 2005-2016 CC BY SA 4.0Unless you’re a chemist, or a chemistry teacher, chances are you haven’t looked at the periodic table since high school. 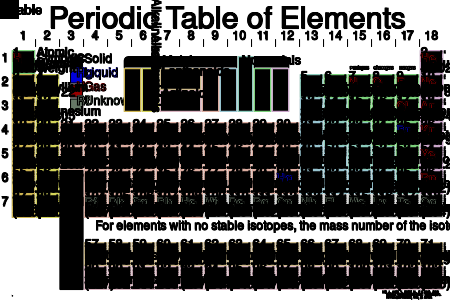 The periodic table is a chart, made by scientists, showing every element in existence. These elements make up all the matter in the entire universe, and each has a number representing its properties. There are over 100 elements, from aluminum to zinc. If learning the table seemed tedious and unimportant to you when you were in school, chances are you weren’t alone. Here’s why one student wrote a thank-you note to a long-dead chemistry teacher.